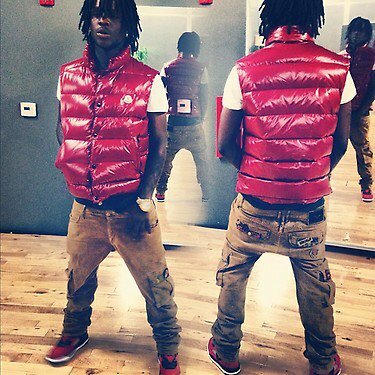 Somewhere in the states Chief Keef is touring and uploading pictures at the same damn time! This time around, the Chicago native was photo’d wearing a $550 Moncler Quilted Tib Down Vest layered over a white V-Neck tee-shirt paired with Robin’s Jeans Cargo Pants. 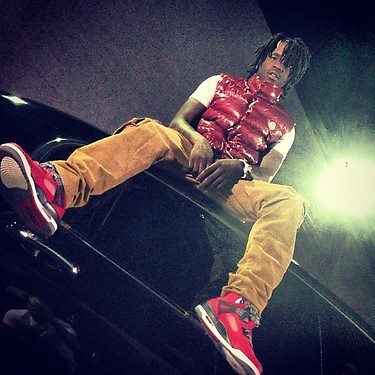 Keef completed his outfit with a pair of Air Jordan Spiz’ike “Gym Red”. The 17-year-old rapper debut album, entitled Finally Famous drops on November 27. He recently did a photo shoot for the album’s packaging which was shot by famed photographer Jeff Forrey. Enjoy the behind the scenes footage here! 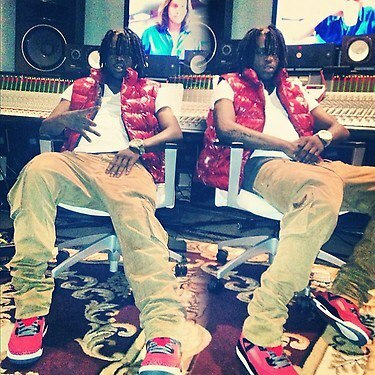 What is your verdict on Keef’s outfit?